The Biancocelesti are the closest contenders to leaders Juventus, sitting eight points off the top of the table, but have rarely been mentioned as Scudetto contenders. “It’s not easy to get three points away from home in a difficult arena to overtake Inter into second place,” wrote Mauri on his official website after the 1-0 win at Sampdoria. Lazio fought back to secure second spot with a controversial 2-1 win over nine-man Cagliari, as there were doubts over the decisive penalty. The Biancocelesti were eager to hold on to second place and a win would match Sven Goran Eriksson’s Scudetto-winning pace of 39 points at the midway stage. Ederson and Marius Stankevicius were injured with Mauro Zarate frozen out. The visitors had lost five in a row, but missed the suspended Davide Astori and Francesco Pisano, plus Mauricio Pinilla and Lorenzo Ariaudo, so 17-year-old Dario Del Fabro started in defence. Lazio had a great chance after 16 minutes, as Hernanes curled a long-range free kick on to the crossbar as Michael Agazzi back-pedalled furiously. However, moments later Radja Nainggolan won back possession in midfield to spark a Victor Ibarbo counter-attack. It was rolled back across for Nainggolan, whose shot from eight yards got a touch off Federico Marchetti and Andre Dias needed a goalline clearance to keep it out. Luca Rossettini risked an own goal with his deflection on Miroslav Klose, but Agazzi blocked with one strong hand. Agazzi also stopped a Senad Lulic angled drive and Cagliari Coach Ivo Pulga was sent off for dissent. Another long-range Hernanes snapshot was too central, but Klose should’ve scored on 38 minutes when he sprung the offside trap from a Hernanes pass and dribbled round Agazzi, but narrowed the angle too much and his finish rolled across an open goal. Andre Dias was booked for hauling down Marco Sau on the counter-attack, as Stefan Radu was behind him so it could not be considered a clear scoring opportunity. Straight after the restart a corner got a glancing header off Radu or perhaps even Del Fabro, cracking against the far post with Giuseppe Biava just a fraction of a second too late to get the final touch. Hernanes drilled wide from a Klose assist, but it was Cagliari who broke the deadlock against the run of play. A cross-field pass found Sau, who dribbled along the edge of the box past Radu and Andre Dias only to pick his spot with a precise angled strike into the far bottom corner of the net. That was the first goal Marchetti has conceded in all competition for 606 minutes of football. Vladimir Petkovic wanted to protect their 11-match unbeaten run and made a double substitution with Michael Ciani and Sergio Floccari. Antonio Candreva pounced on a poor clearance to force a save out of Agazzi, but from that corner Lazio got their equaliser. A Biava header looped into the air and Abdoullay Konko came sliding in to redirect it at the base of the back post. The home side’s tails were up now and Agazzi needed two touches to control a Biava header. The Cagliari goalkeeper was booked for time-wasting, but soon after he came tearing out to clatter into Klose on the counter. The referee awarded a penalty and a second yellow card. Cagliari were furious, as they pointed out Klose had already kicked the ball to land on the roof of the net, so any contact with Agazzi was irrelevant. Andrea Cossu took his protests too far and was sent off. Candreva took spot-kick duties and kept his cool to bury it into the bottom corner despite Vlada Avramov guessing the right direction. The striker was able to sign outside the January transfer window because he terminated his contract with Sunderland on January 31. “I am very happy to be here at this big club,” declared the 34-year-old Frenchman. “I have found a great group and working with them will be a real pleasure for me. I want to give my best. I am here to help the team during this injury and I’m happy to do it. “I know on Saturday it will be a big game against Napoli and I am here to help. In life you must always try to give your best. I am a very competitive person, so the important thing is to always do better. President Claudio Lotito and Coach Vladimir Petkovic were also at the Press conference. “Saha is a person who can give a great contribution to this club,” said President Lotito. “His history speaks for him and he has come to Lazio with great motivation. He can help us reach our objectives as we deal with a few injuries. Former Manchester United striker Saha was drafted in after a knee injury ruled Miroslav Klose out for two months. Lazio striker Louis Saha has claimed that he wants to stay at Stadio Olimpico beyond the end of the season. The French forward joined the capital club in February as a short-term replacement for the injured Miroslav Klose. But the 34-year-old has admitted that he is enjoying his time in Serie A, despite only playing 18 minutes since his arrival. “It is an unexpected adventure,” he told L'Equipe. “After playing a large part of my career in England it is not easy to play in a different League with a different language. “But I am enjoying training and every minute I get on the pitch. “There is a lot of competition here, but the season is a long one. Mauro Zarate’s agent has confirmed “we requested the termination of his contract” with Lazio last week. The Argentine has not played for the club since November and was reportedly fined €500,000 after he was spotted in the Maldives while on injury leave. “It has been several days since we requested the termination of his contract and we have a great deal of documentation at our disposal,” agent Luis Ruzzi told La Lazio Siamo Noi. A legal battle is set to take place, as Zarate claims Lazio prevented him from training and playing, so can have his contract terminated. The Biancocelesti insist Zarate has been dropped purely as a tactical decision and want to raise money by selling him in the summer. The situation deteriorated beyond repair in December, when Zarate reportedly refused to sit on the bench against Inter and left the training camp. A January deal with Dynamo Kiev had been almost completed, but it collapsed and both parties blamed each other for the failure to sell. lol Zarate, what a knob. 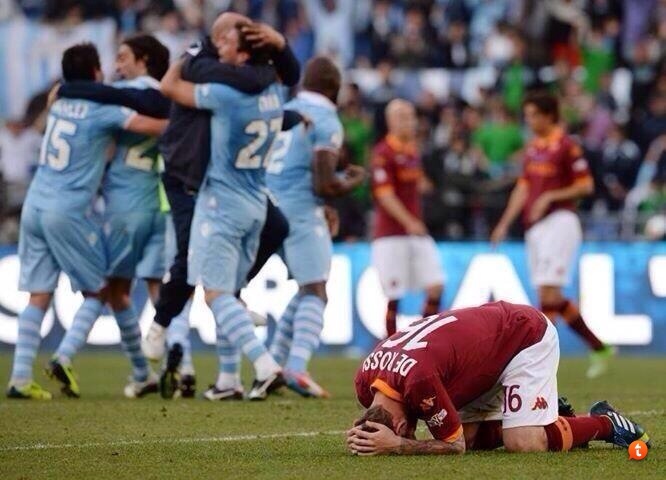 The perfect laziale. I wouldn't be surprised if he's their captain before the season is done. Scudetto,Coppa Italia and,now, the Eagles won Supercoppa Italiana against Chievo Verona! Compliments to our youth team!!! Did that belly tattoo hurt? How long did you have to sit for it? C'hanno lo stampo dei burini per sempre. @Italiamia Are you obsessed by Lazio? 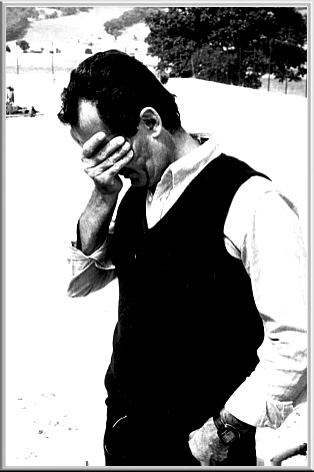 You can open the book and you can study the history of your fans (they were from Naples and Albania). Oh, yeah, I'm obsessed with lazzie. That's funny. I've not had the chance to beat up on a lazzie fan in a long time. I see you're feeling the pressure. Napoli and Albania. Did you get that from the burino handbook. Si vede che non sei mai stato a Roma,se non per una breve vacanza o simili. Non hai potuto ammirare la Capitale che nel Maggio 2000 si tingeva di biancoceleste e festeggiava la prima squadra della Capitale. Noi,nati nel 1900 con un'anima pura. Voi,nati con la fusione tra vari teams ben 27 (VENTISETTE) anni dopo. Ci dai dei "molisani",ma forse non sai che l'a.s. roma è stata fondata da un abruzzese. Ostini a definire la nostra storia come "fascista" (e ciò non è proprio vero),quando l'a.s. roma è nata per merito di Italo Foschi,ovvero l'allora segretario del Partito Nazionale Fascista. Ci dai dei "burini",poi dici che abbiamo pochi tifosi nel Lazio. Se sei venuto in Italia allora penso che tu sia stato solo da Latina in giù dove effettivamente è pieno di romanisti,Juventini e Napoletani,ma i Laziali di certo non mancano. Siamo i padroni di Roma,e per dimostrarlo non sbandieriamo di qua e di là come fanno molti riommanisti arrivando ad essere ridicoli (come le storielle che si inventono ogni anno). La S.S. Lazio si chiama così perchè i fondatori volevano creare un qualcosa di più grande,dove Roma fosse inglobata. Noi,portatori dell'Aquila simbolo dell'Impero Romano. Voi,invece,con quella lupa di cartone siete diventati il giocattolo preferito dello yankee di Boston. State perdendo quella romanità (non molta) che avevate. Se ho scritto in italiano è perchè vedo che anche tu scrivi in codesta lingua. Altrimenti usa il traduttore così hai un po' meno tempo per scrivere cazzate.